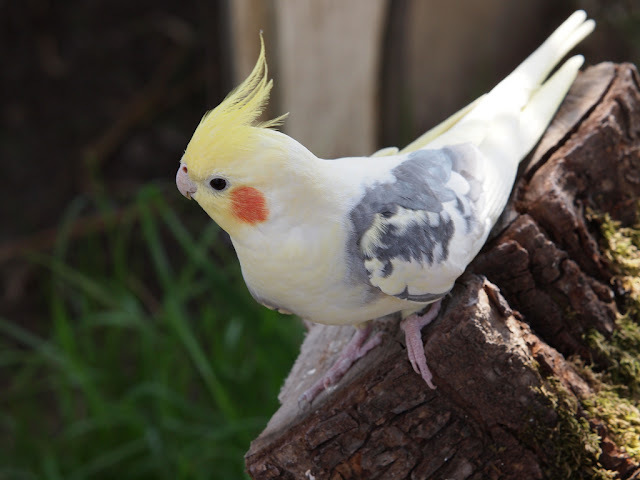 Lutino cockatiel have different colors people call them white-headed breed males of this breed have white heads and female have grey shades with markings on its tail while males are pure white. we can see them also in combination of white with (grey, pearl, pied, pearl-pied, cinnamon, cinnamon-pearl and cinnamon-pied) colors. 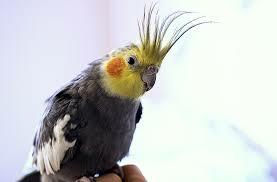 This breed is famous for his yellow head so we can call this pet a yellow-headed breed. these birds have different and very beautiful patterns each bird have different patterns like cinnamon parrots have a yellow body and their patterns never changed in their whole life. 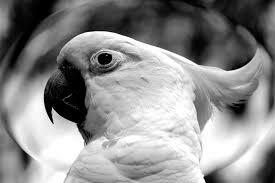 Pearls have yellow tails and body of this pet is the mixture of yellow and grey and the color o their feet are pink. These birds are multi-colored birds they are available in grey, white and yellow colors the one thing which is same in every cocktail is that they have yellow and orange head with an orange circle under their both eyes they have pink feet and red beak which make these pets more attractive they have white color on the edges of their feathers while the rest of the feathers are mostly grey. Cockatiel love to eat cherry and it would be better if this without seeds because it can be harmful to them they love to eat chilies, apples, and bananas they love to eat almost all fruits but they don't like oranges (I have a cockatiel named beep and he doesn't like oranges) they also love to eat peanuts and every food which is not harmful to them you can give them.